You have an amazing gift of words. 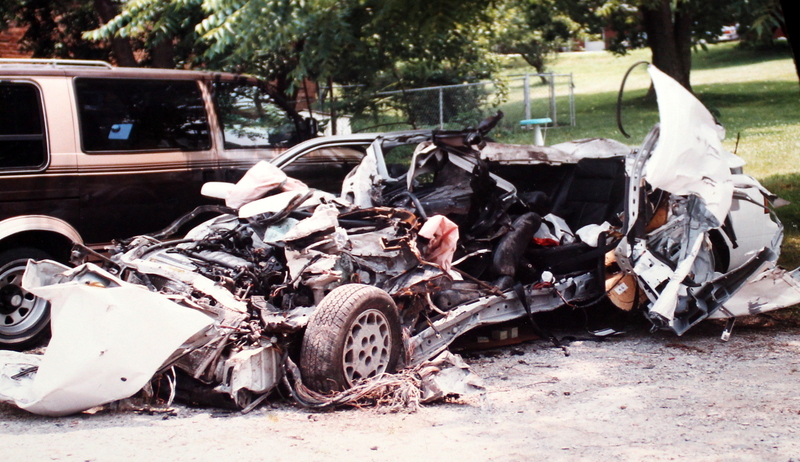 I too was in a horrible crash as a teen and I should not have walked away. But I did. I try to remember my time In The ED and the helicopter as a patient and now as a nurse, I try to do my best to talk to my patients and reassure them like a few did for me. I don’t remember I single face or name anymore, but those people will never be forgotten. I wish I had had to words to say thank you to them, like so few do to us now! Though I have heard this story before, I shed a tear because you hit the nail on the head. It is so easy to judge the unknown and you never know when you could be that piece that’s helps a victim push through. You are amazing and I am so glad you made it to tell your story. You truly had a purpose that was yet to be lived. I love you Melina. Wow, Melina. I saw this on Tracey’s page and cried over your words. What a story and perspective you have. Thanks for sharing and working so hard to care for all of your patient’s needs! An incredibly horrific story, told with such depth, and with the beauty of the work you do now. I’m a little speechless. A beautiful, sorrowful post. I am in the UK and read one of your posts through a friend of mine on Facebook, who is an A&E nurse. Then I read your story about what led you to your profession. I am in tears. Such a horrible tragedy and my heart goes out to you. I cannot imagine the pain you have gone through. This is so beautifully written. I too, like several other readers, am in tears. So sad and heartbreaking. I cannot imagine losing a loved one this way. But I am so thankful that you and Parker survived this horrible accident. You so you could tell the story and become a nurse to help other people…. Parker because he is my adopted Grandson whom I adore and feel so blessed to call him my Grandson. Thank you for sharing this part of your life and for all you do everyday to make a difference in the life of others. And what a beautiful family you have!!!! Your writings touch a cord with me. Nursing is definately a gift and a talent given by God. I have spent 30yrs in healthcare… 8 of them as a nursing assistant (during my high school and college yrs) and 22 of them as an RN. I’ve worked a gammet of the specialties from telemetry/step down to ICU to cardiothoracic OR to extended care and Hospice… even a few years as community college clinical instructor. I’ve been the family member in the ICU waiting room too many times to count, “pulled the tubes” on a loved one (my dad) who lived 10 days longer at home with hospice care, came upon the scene of my husband’s care rolled over in the middle of the road (hit by a drunk driver) and held his hand as we walked out of the ER 12hrs later w/ little more then scraps, cuts, & bruises on his body, and been a patient myself as I have wrestled w/ CHF, hyperthyroid, fibromyalgia, bariatric surgery to name a few of my ailes. Each of these life experiences forever changed the way I practiced nursing. But these by far are not the hardest hits I ever took. The absolute biggest blow I ever received was when I was fired from a job for being “TOO COMPASSIONATE” and for “spending TOO MUCH TIME with my patients explaining to them what to expect as they waited stripped of all their dignity, dressed in nothing but a hospital gown, laying in a sterile environment, preparing to be put to sleep for a surgical procedure. My own health has caught up with me and I have not practiced nursing in 2 yrs. I no longer hold my license which I frequently regret. Reading your posts reminds me of all the very reasons I ever went into nursing. Politics and business have forever changed the way nursing care is provided. The day healthcare became an “industry” was the day it became all about $$s and cents in the eyes of so many adminitrators. May your frankness in your writings be an eye opener to those sitting in the cushy inside rooms and a huge reminder to ALL people involved in the field that healthcare is about people!